Adaptation of stories – as a translation between media, such as literature and film – is explored for genres of interactive storytelling that make use of highly-interactive and user-adaptive technology. A concrete case study of transforming and abstracting a Hemingway short story is discussed in detail. 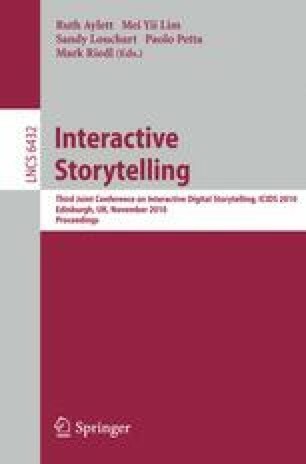 The conclusion is that even though Interactive Storytelling content has to follow formal models, these cannot be derived from a written narrative alone and need story creators’ input in order to work for interactivity.